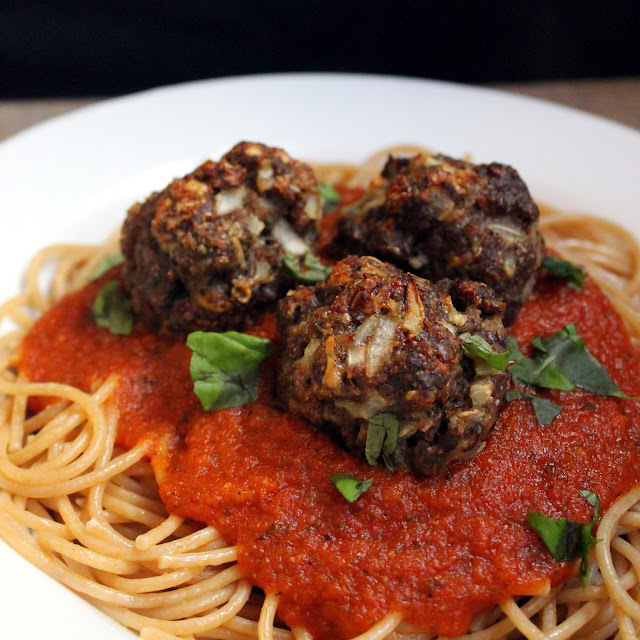 I love a good meatball. I mean seriously, it transforms the plainest old spaghetti into something extraordinary. A good spice element is important, yet these aren’t spicy enough for my kids to complain. 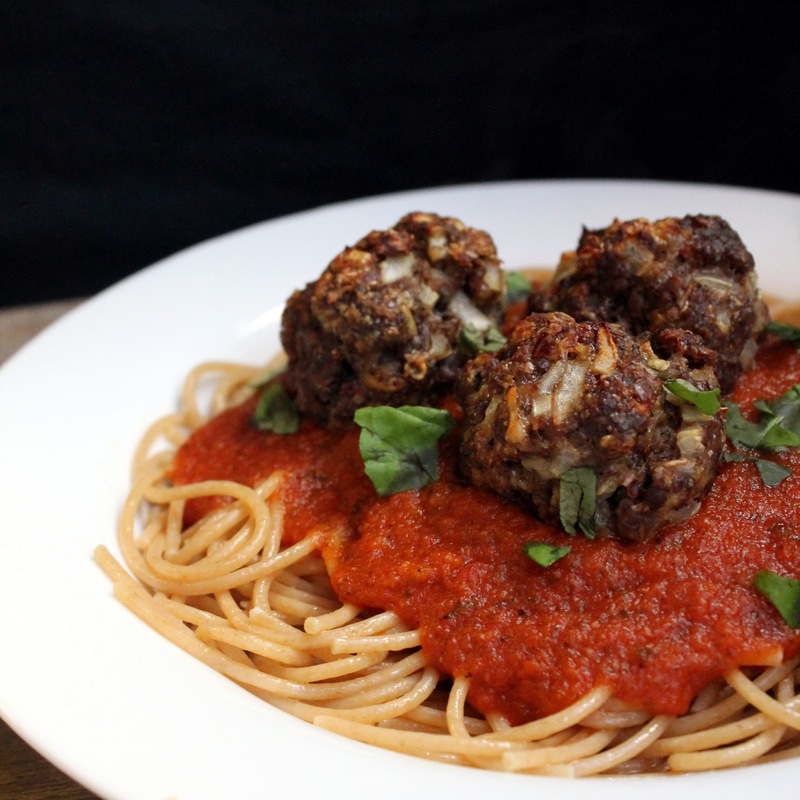 I do love it when I ask my 4-year old how many meatballs he wants and he replies, “8!” I mean seriously, how is that little body going to stuff in 8 meatballs? Since I know I can get my kids to devour them I like to make them as healthy as possible. These meatballs don’t use any traditional bread crumbs. Instead they are full of wheat germ, wheat bran, and ground flax. Ta-da! And they are totally delicious! I like to bake mine a bit longer so they get all burnt and crispy on the outside. However, I’ll write the recipe for a normal person. After forming the meatballs they can be frozen until ready to bake. Just pop them in the freezer on a baking sheet and once they are hard, store them in a ziplock freezer bag. 1. Preheat oven to 400 degrees. Lightly spray a 9 x 13 pan or baking sheet with nonstick cooking spray. 2. Combine all ingredients in a medium mixing bowl. Mix thoroughly until ingredients are evenly distributed. 3. Shape into 1 to 1.5 inch balls. Whatever size you choose, they should all be roughly the same size for even cooking. 4. Bake for 25 -30 minutes. For extra crispy add another 15 minutes. Ground beef….there are some things you should know about it. When you purchase ground beef it’ll have a percentage written on it. This percentage will tell you the fat content. The range of percentage will be anywhere from 70% to 97%. That number refers to what percent of the product is meat. The rest of the percentage is fat. So when you buy 70/30 beef, 70% is meat while 30% is fat. While fattier packages of ground beef are usually cheaper, more of the product will melt off during cooking since it is fat. However, as the fat melts off the meat will have a constant basting of liquid and flavor which prevents your meat from drying out. On the other hand, lean ground beef is obviously healthier. If you use a lean ground beef then you should be mindful of the fact that it will dry out easier. I bet you are wondering what the difference is between hamburger and ground beef, huh? Simply put, hamburger can have fat added to it while ground beef is just a specific cut of beef (top round, sirloin, or chuck) with whatever fat naturally comes on it. Now you know!